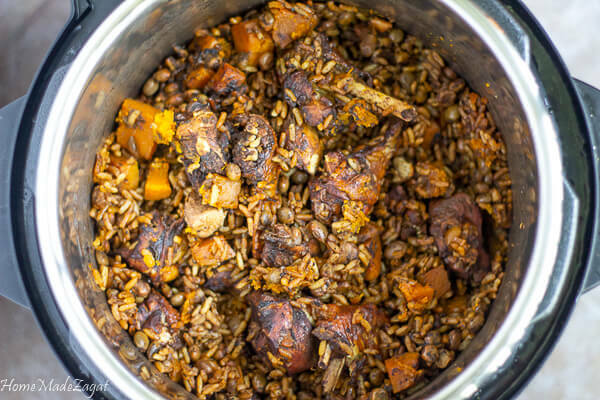 A fool-proof recipe for making this delicious Trinidadian specialty of rice and peas and chicken in the instant pot. 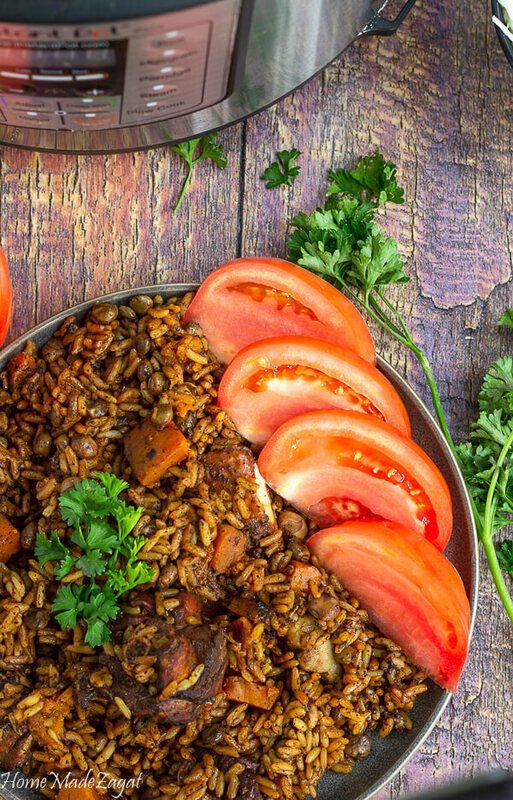 This pelau recipe will have you eating in record time. I know I have been MIA for a while. But I had a really really good reason I promise. Not to harp on it too much but you can find out more about it on my IG post. But I'm back into my kitchen, slowly but surely. And playing around with my Instant Pot. Normally to create pelau, we need to caramelize the sugar to get the brown color, like we do with stew chicken. But not this time!! This version is now the quick, easy and foolproof method, especially if browning sugar scares you. 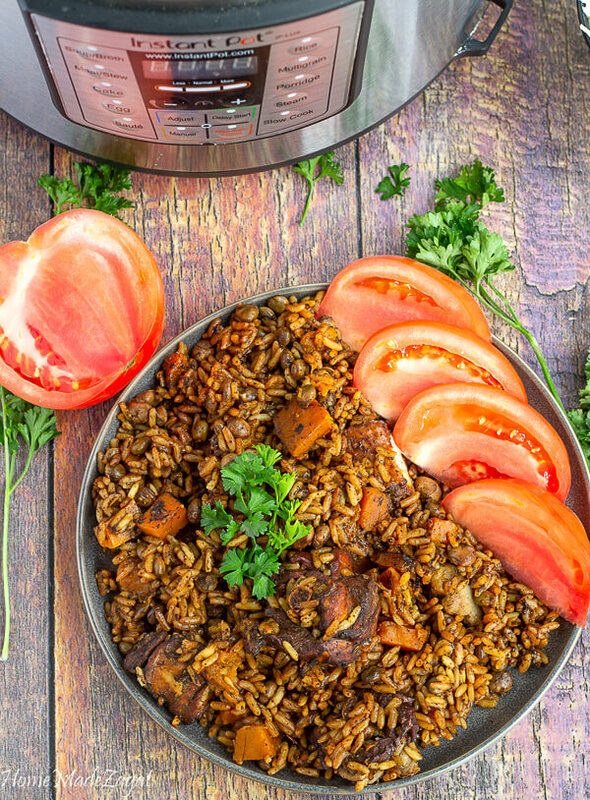 Have you fallen into the Instant Pot craze? I've had my pot for a little time now but haven't been using it to its full potential. But I'm trying to get more use of it now. These pots (called the magic pot by my aunt) is everywhere now. All different brands have them. So if you see a recipe that says "Instant Pot" and you have a "crockpot" version, it is just about the same thing. 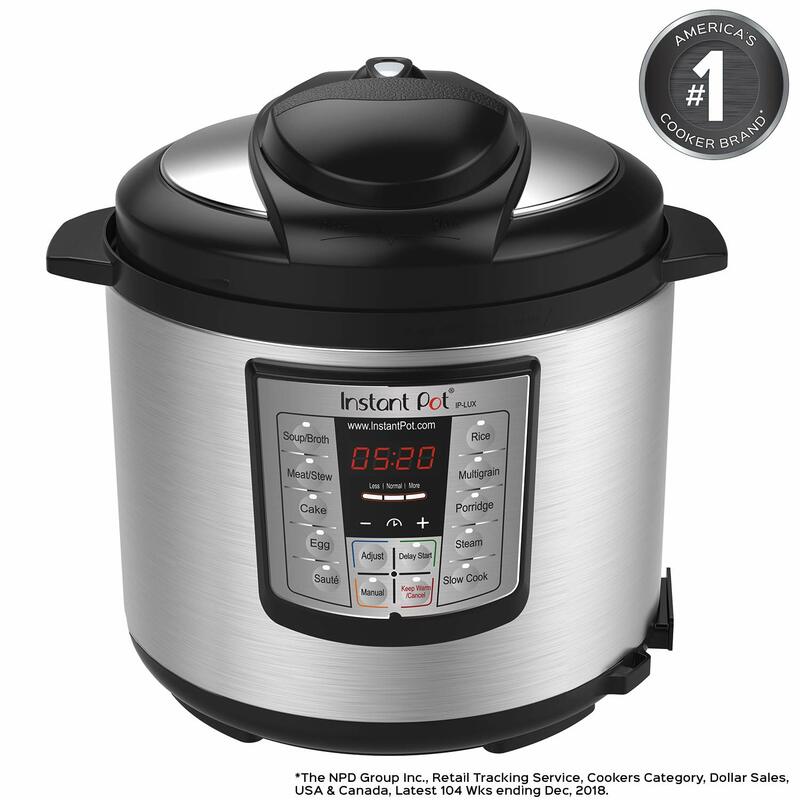 I have the Instant Pot LUX60V3 V3 6 Qt version. 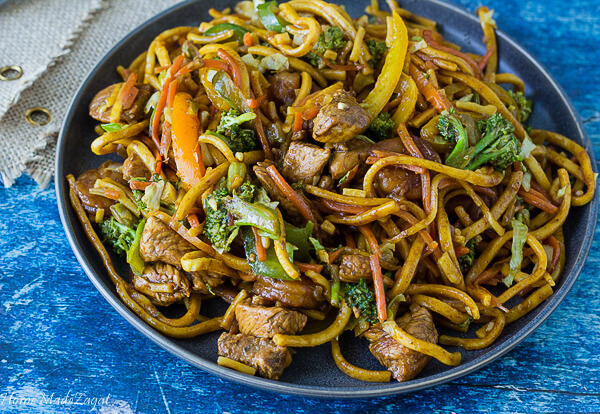 It's a 6 in 1 and I feel like it works great for a family of 4 who eats for like 6. They are the perfect combination of a slow cooker, fast cooker, pressure cooker, rice cooker and some even have the option to make desserts. And some people are even making beverages in them. Caribbean people are usually pretty stuck in their methods of making food. As much as technology advances we are always wary of stepping away from how we normally make something to try something new. Make what in what? No thanks, I'll just use my regular pot that is going to take me 500 hours. 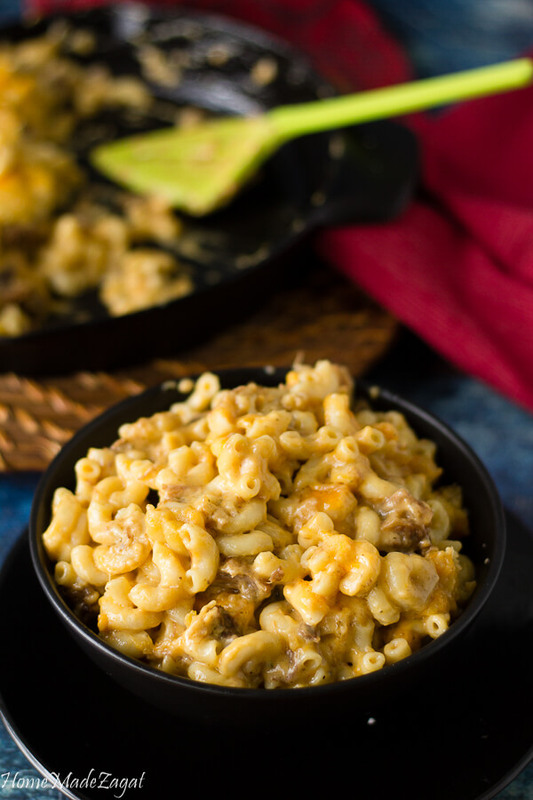 We wouldn't even want to make soup in a slow cooker, and it would save us so much time. But I love using my IP. I have seen some benefits incorporating an IP into my rotation. With this recipe, I don't have to stand over the pot while the sugar browns to make sure it doesn't burn. I know in my other pelau recipe, using the traditional method, sometimes people have an issue with that step. Browning sugar can sometimes be tricky. One distraction and you have a pot of burnt sugar that is too bitter to use. I just put all my ingredients into my pot, stir it up, taste it a little for salt and then cover and go. Be mindful of ensuring that the valve for the pressure is set to sealing before you begin though. This thing takes up space on your counter. I used to store it in a cupboard with other gadgets but then I had to be taking it in and out too much in the week, so I just decided to keep it up on my counter. If you are like me and have little counter space, it could be so annoying to have out. So instead I just put it on a folding table in my kitchen so that I could retain some counter space. There is a little bit of a learning curve with this device. I've had some misses with the timing with some ingredients under pressure. Imagine a scotch bonnet pepper getting a little too much time, under pressure, in your soup!! 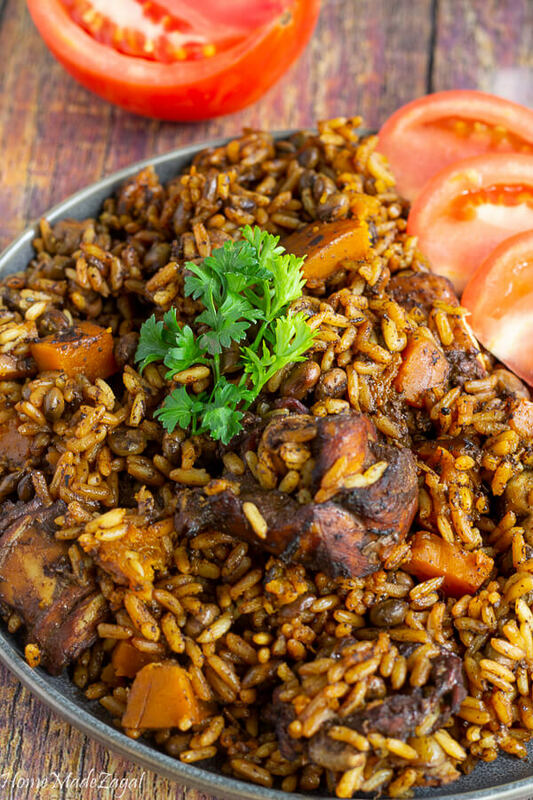 Pelau might be considered the national dish of Trinidad and Tobago. More so Trinidad. I feel like crab and dumpling might be Tobago's. But it's a really great one-pot dish that we cook and tote with us everywhere we need a dish that is easy to eat. Carnival fetes, beach limes, cricket matches. 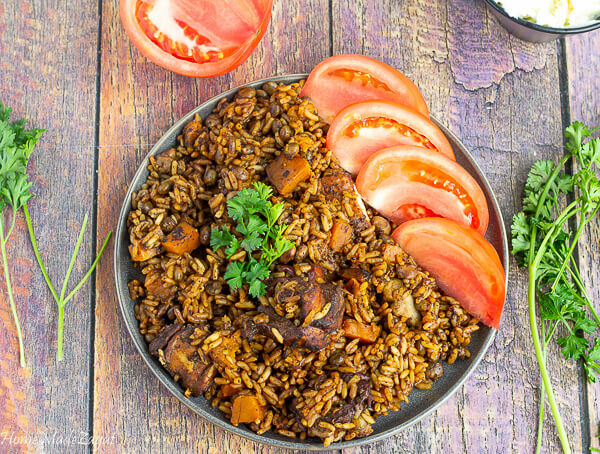 This rice and peas and meat dish is really a "can be eaten everywhere" dish. 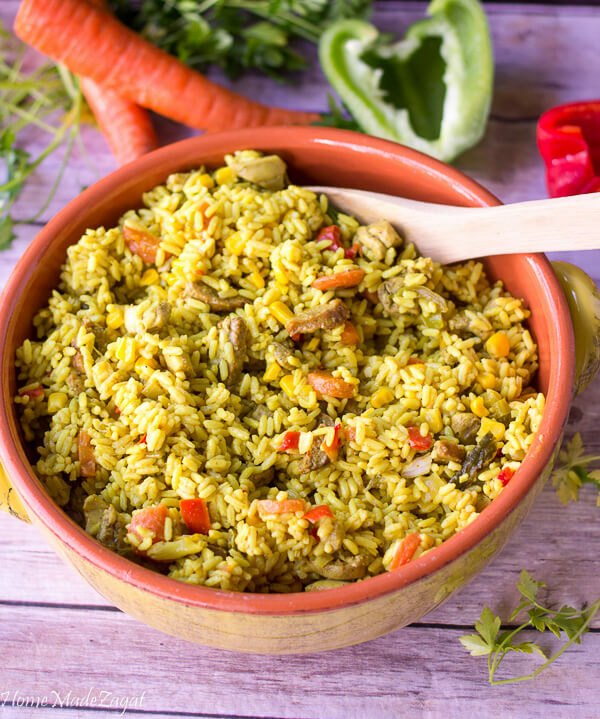 Chicken pelau isn't the only pelau. There's also the option for beef or pork (pigtail). 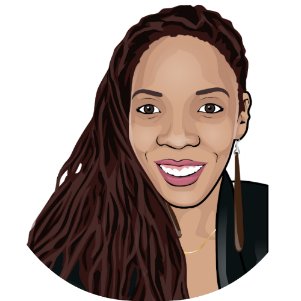 Ever heard of saltfish pelau? Yummy. But chicken is always my favorite. Nothing beats a pelau, after spending some hours in the sea, drained out from the sun and drinking too much salt water. All you need is some pelau, with coleslaw. Or even at home, this one pot with some added zaboca (avocado) and a glass of mauby. 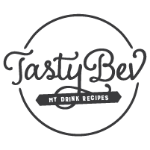 I really love using my instant pot to make my usual Caribbean dishes in there and eliminating some of the time for me to be standing in the kitchen and stirring the pot. Well some, there are still some things my stove top dutch pot makes a little better. 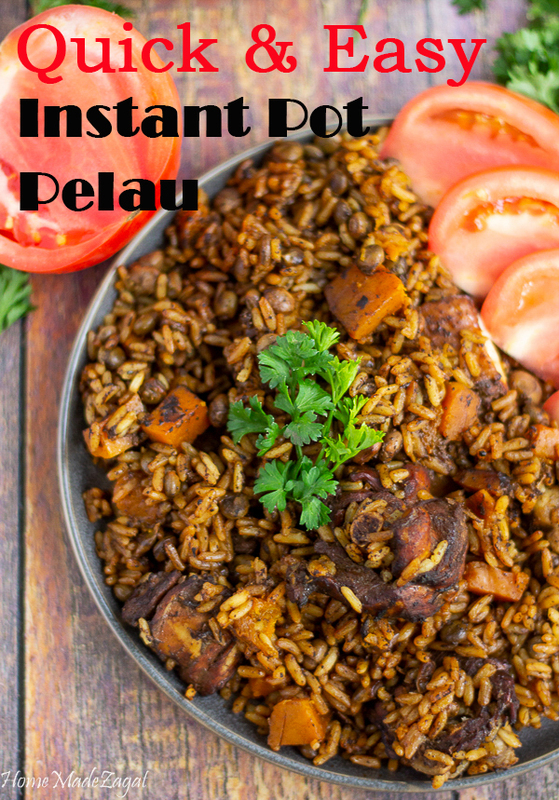 But if you do have an Instant Pot or any other electric pressure cooker, you definitely need to add this pelau recipe to your line up. 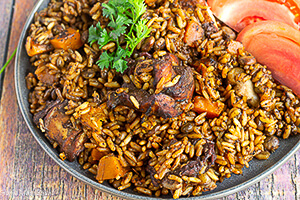 It's a quick and easier version of the traditional classic pelau we as Trinidadians know. 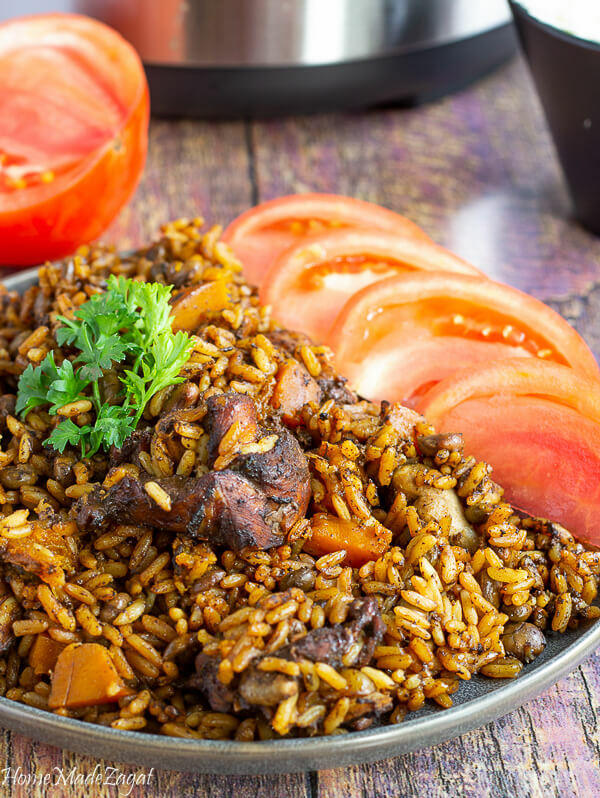 Pin this pelau recipe NOW!! 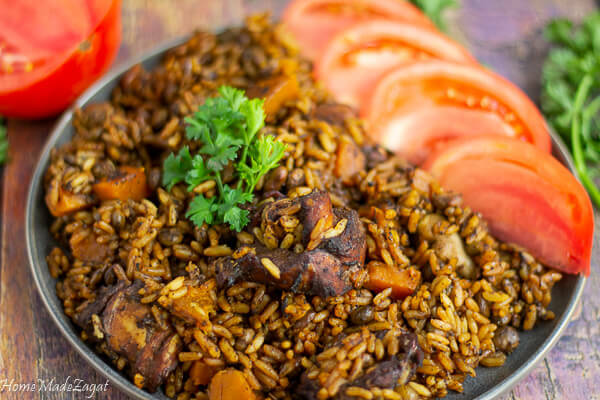 A fool-proof recipe for making this delicious Trinidadian specialty of rice and peas and chicken in the instant pot. 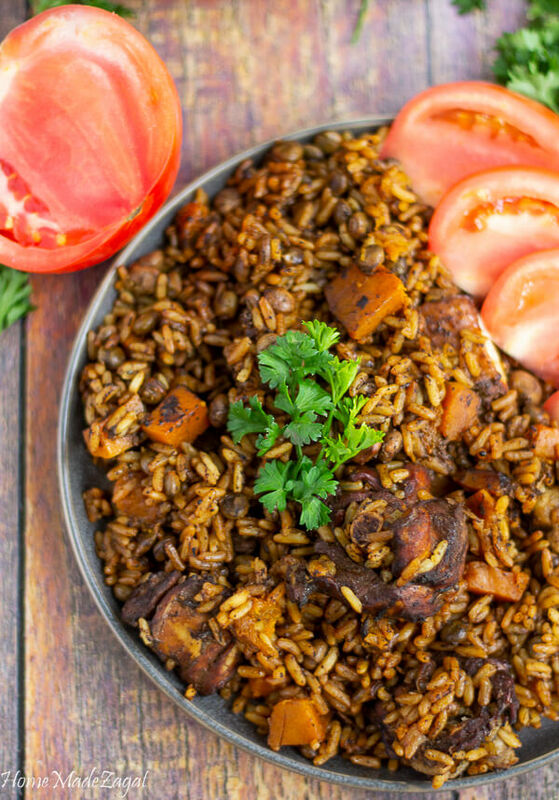 This pelau recipe will have you eating in no time. 1 1/2 cup parboiled rice. Open pot when all pressure is released.